Over the past few months I have become obsessed with Podcasts. As much as I listen to music for the majority of the day and when I'm out and about, I like switching it up a little. I NEED THE NEW SERIES. This podcast is done by the same people who create podcasts for This American Life and follows a murder case from 1999 when Hae Min Lee went missing. After her body had been discovered Adnan Syed, her ex-boyfriend, was charged with her murder and was sent to prison for the crime. He has always pleaded that he is innocent. The podcast breaks down so many aspects of the case and is incredibly interesting, I think I got through the episodes in about 2 days. Following on from the crime theme, Criminal discusses many different cases from various years. The creators of Criminal describe the series as "Stories of people who've done wrong, been wronged or gotten caught somewhere in the middle." Spark London is a range of stories on various themes told live in London. They put on a live event each month and I sadly had to miss one because I was sick so I'm hoping to get to one soon. They're in Hackney and Brixton. 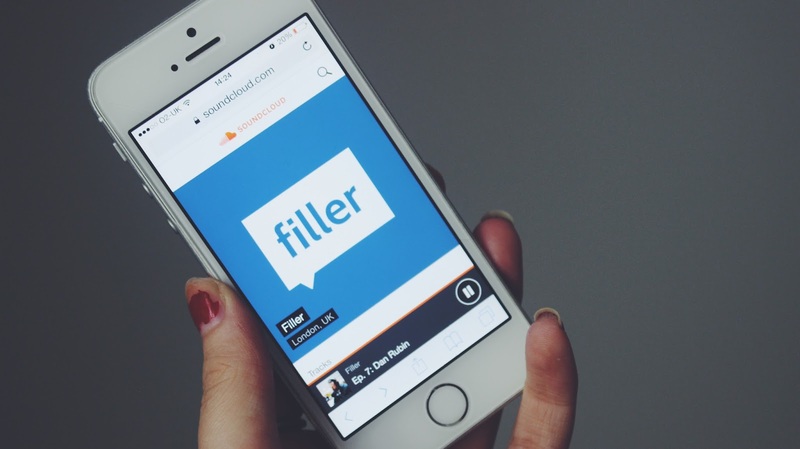 Filler is a series by Harry Hitchens and Matt Shore broadcast from Notes Coffee in London. They state "Filler aims to represent creative industries in London and beyond. The best creative discussions we’ve had have been over a coffee, so Filler is broadcast from Notes, a coffee shop in central London. Every week we’ll interview a major player from a creative industry in an effort to inspire newcomers and inform the experienced. We see Filler as the positive consequence of the digital age. Engaging digital content that anyone can listen to ― wherever, whenever, forever ― for free" They've spoken to many creatives such as Will Darbyshire, Dan Rubin and Jack Harries. I going to have to check out Serial and Criminal! I love crime dramas and these look like they are right up my alley! This is a great post, and so interesting as I haven't listened to podcasts in years! I've heard a lot about Serial, so I'm definitely going to start listening to it. Mu music knowledge is utter rubbish, so thank you for these!